A few weeks after an out-of-state hedge fund billionaire purchased a $238 million penthouse apartment on Central Park South, two City Council members have introduced a resolution in support of a pied-à-terre tax. Currently, in New York, non-residents are not subject to state or city income taxes and do not pay New York sales tax while outside the state. The proposed tax, which would affect homes that cost over $5 million if they’re not the owners’ primary residences, isn’t new. It was first introduced in 2014 by State Senator Brad Hoylman and Assembly Member Deborah Glick. However, with Senate Democrats now in the majority in Albany, it has a better chance at getting passed this year than ever before. The City Council resolution was essentially a show of support for the tax, made by Members Mark Levine and Margaret Chin. At a press conference in front of City Hall on Monday, Levine and other Manhattan lawmakers argued that such real estate investments by out-of-state and foreign buyers are keeping buildings dark while the city gets done out of badly needed revenue. “It’s a surcharge on property tax, so we can capture taxes from people who don’t really live here,” added Glick, who was also at City Hall. Earlier this month, State Senator Brad Hoylman was named chair of the Judiciary Committee by Senate Majority Leader Andrea Stewart-Cousins. Hoylman for some time has been pushing a bill that would make it easier for people sexually abused as children to seek justice many years later. Asked if being on a committee that tackles crime issues would help push the Child Victims Act along, he responded, “It doesn’t hurt.” What also doesn’t hurt is that Democrats have the majority and the bill, while facing opposition from churches and other institutions, has plenty of partisan support. He’s been in the trenches for over two decades. He was a community activist, chair of Community Board 2, and currently is our state senator. He is one of the most thoughtful and knowledgeable members of the state legislature. I am referring to Brad Hoylman. He won a Rhodes Scholarship and graduated from Harvard Law School. And now he is important. For only the second time in over a half century, the Democratic Party has won control of the State Senate. And now entering his seventh year in that body Mr. Hoylman is poised to become one of its most impactful and influential legislators. Several years ago, I had dinner with Senator Hoylman in Albany. I was impressed with his ideas and his energy. He is a progressive but he is also pragmatic. The very two characteristics that are necessary to advance vital legislation for our community and our state. Throughout my entire 28-year tenure in the State Assembly, the State Senate was controlled by the Republican Majority with their leadership mostly based in conservative rural or suburban regions of New York. The Republicans are ideologically closer to big business, such as the real estate industry, than with consumers or tenants. I don’t say that as a value judgement, but rather as a political fact. Of course, the millions of dollars from those business groups and corporations that roll into the Senate Republican campaign coffers regularly help. During my time in the Assembly representing the East Side of Manhattan, Roy Goodman was my counterpart in the Senate for almost all those years. We worked closely together to press for needed tenant protections and fair housing laws. But try as he might, Roy was frequently stymied by his Republican leadership. Bills passed in the Assembly never saw the light of day in the Senate. Elections results usually reveal answers to political questions. Last week’s Democratic primaries did that, but also raised a raft of new questions, some of which will determine the course of important policy issues next year. Governor Andrew Cuomo defeated his rival Cynthia Nixon with nearly two thirds of the vote. Usually that would be cause for celebration in the winning camp. But the noticeable muted response from the Cuomo campaign speaks volumes. In vanquishing his opponent, Cuomo outspent Nixon by almost 10 to 1, depleting his considerable campaign war chest. And along the way he made some bad gaffes which may come back to haunt him. Moreover, his political strategy over his first eight years in office of maintaining control over the state legislature seems to be coming to an end. By tacitly supporting the breakaway Senate Democrats known as the Independent Democratic Caucus (IDC) for years, Cuomo enabled the Republican Party to maintain control over the State Senate. The Republican leadership in turn kept a lid on a number of progressive pieces of legislation emanating from the Assembly including tenant protections, health insurance reforms, tax policy, education spending and political campaign contributions. Last week, the Senate Democratic Conference announced a legislative package to combat gun violence and protect New Yorkers. I am proud to be part of a group of Senate leaders standing up to the corporate gun lobby, and we have offered a series of common sense bills to address the repeated tragedies caused by gun violence. We brought four of these bills to the floor of the Senate as “hostile amendments” – and every Republican Senator voted no on each proposal. Studies have proven that states with stronger firearm safety laws, like New York, have fewer gun-caused deaths. Unfortunately, NY Republicans are taking their lead from their extremist Washington allies and for years have refused to move any common sense gun laws. On Sunday night, when the New York State budget was passed by the Senate, landlords won an extension of the 421 tax break for new developments while tenants lost some leverage in the ongoing effort to renew and strengthen the rent laws. The combined budget bills had totaled nearly 2,000 pages, as noted by State Senator Brad Hoylman last week. He’d voted no as a protest to being expected to review a Bible-sized stack in a matter of hours. However, with the voting now over in the Senate as well as the Assembly, Hoylman gave Town & Village a recap. The 421a tax break for developers, which was included in the budget, will no longer sunset at the same time as the rent negotiations. The timeline had previously been seen by tenants as an opportunity to bargain for stronger rent laws. Additionally, ethics reforms, including the closure of the LLC Loophole (which allows donors to give nearly limitless campaign cash to politicians through LLCs), were not included. The New York State Senate, which is where tenant-friendly legislation goes to die, may remain that way for at least a couple of years longer, though some district results are still unclear. Local Democrats had hoped to “ride Hillary Clinton’s pantsuit tails,” as State Senator Brad Hoylman recently put it, and gain a majority, but as of Town & Village’s Wednesday press time, two races were so close that there is a possibility of challenges and changes due to paper ballots. In the 8th senatorial district, Democrat John Brooks got 45.47 percent of the vote compared with Republican Michael Venditto who got 45.44 percent, according to the unofficial results posted on the State Board of Elections website. In the 5th district, Republican Carl Marcelino was leading slightly with 46.73 percent, compared with Democrat James Gaughgran with 45.03, also according to the BOE’s unofficial results. New York voters kept power in the hands of the State Senate’s Republicans on Tuesday with the Republicans winning a a 32-31 majority. Additionally, a Democrat who has caucused with Republicans, Simcha Felder, may continue to do so, City & State reported, which would solidify Republicans’ position to 33 in the 63-seat chamber. As a result, State Senator Brad Hoylman said he suspects that any hope of strengthening the rent laws as well as passing other Democrat legislation will now be up to the Assembly and the governor. Hoylman, who was reelected with over 85 percent of the vote in an inactive campaign, said that he thought the more closely contested state races were affected by nation-wide trends as well as a lot of real estate and hedge fund money being poured into the coffers of candidates in those races. One million dollars was spent on TV ads this weekend alone, he noted, from supporters of charter schools. This “seemed to have made the difference in the Wagner and Gipson races,” he said. Justin Wagner and Terry Gipson were upstate Democratic candidates who lost to Republicans Terrence Murphy and Sue Serino, respectively. Another upstate Democrat, CeCe Tkaczyk, who’d won with a mere 18 votes last time, lost her seat on Tuesday. 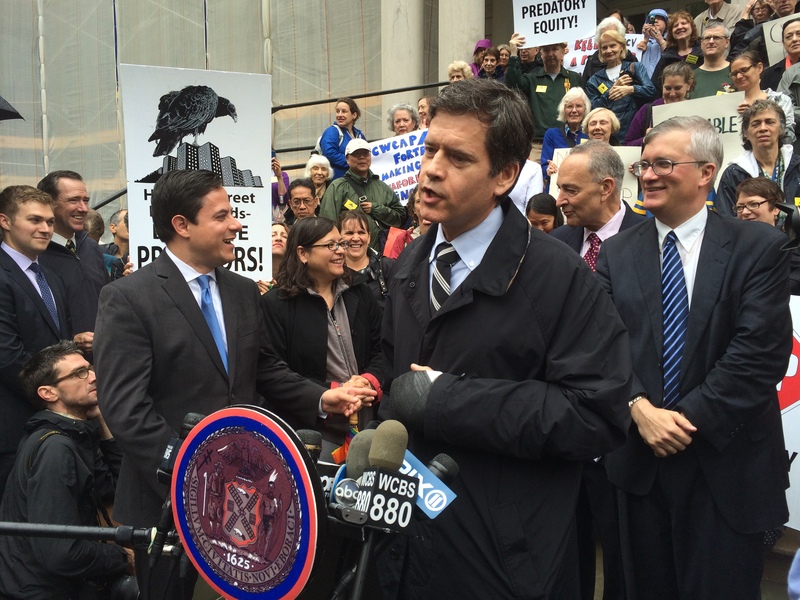 “The amount of money that’s been spent was unexpected and unprecedented,” Hoylman added. “This is a terrific example of why we need campaign finance reform.” Previously, it appeared as though Democrats control of the State Senate following the election would be likely, with a plan by a breakaway group of Democrats who’d been caucusing with Republicans, to once again ally with more mainline Democrats. The plan, announced in June, had been cheered by Governor Cuomo. On the turn of events, Hoylman said he wasn’t going to blame anyone. Despite allegations that the Cuomo administration compromised the governor’s own corruption watchdog panel and despite the fact that Cuomo’s opponent in the primary has been interviewing non-stop — thanks to an unusually interested press in a longshot candidate — that opponent has still retained her title of just that, a longshot. 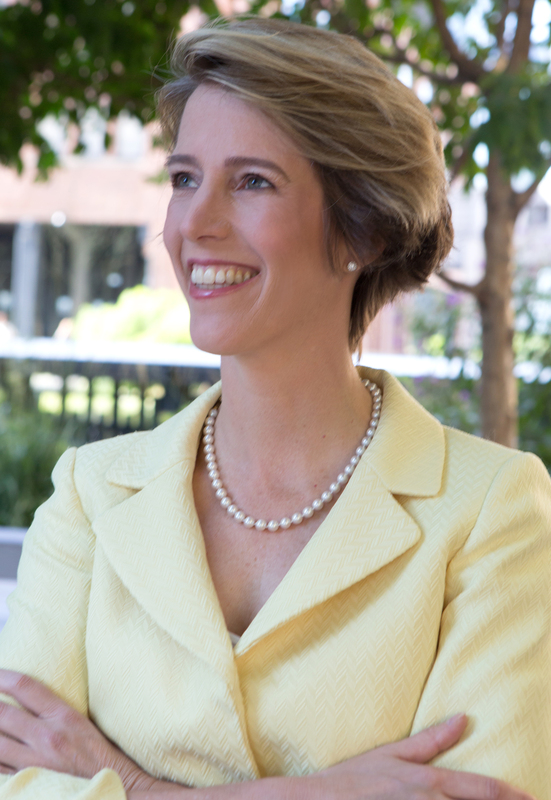 Still, there’s no doubt at this point that Zephyr Teachout is gaining momentum. Cuomo recently attempted, unsuccessfully, to have her tossed off the ballot over allegations she didn’t live in New York for the past five years. Meanwhile, the move to keep her from running may have backfired. 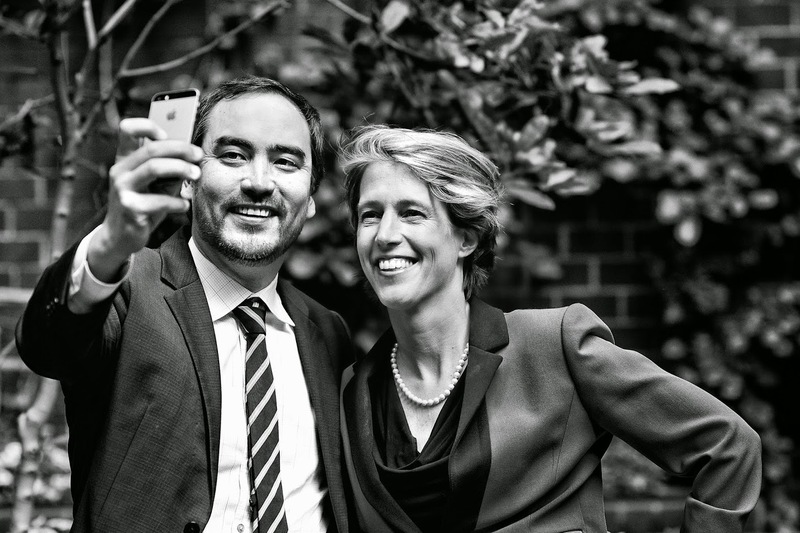 Along with pointing out that Teachout, a Fordham law professor, was an underdog candidate, it also alerted New Yorkers to a fact many weren’t aware of previously, which was that there was even a primary election at all. Why do you think people are finally noticing your campaign? Do you think it’s just the Moreland Commission? There’s a latent, deep frustration about our economy, about how New York State has the most segregated schools; it’s the most unequal state. It’s a closed all-boys club in Albany. It’s supposed to be an egalitarian state. I’m anti-corruption. Extell gives $100,000 in campaign donations — and this is Extell of the poor door fame — and Extell is getting subsidies that other New York businesses aren’t. What I think people are starting to see is that Extell is not just a developer. They’re spending so much money on developing political power and connections. One thing about me. You’ll always know where I stand. Andrew Cuomo is hiding from the issues. He’s hiding from a debate right now. He’s scared of bringing more attention to the campaign. I won’t tell you that the reason people are (paying attention) is any one thing, but Moreland is pretty shocking. I think he’s governing like an ad man. He’s putting on a lot of ads, but he doesn’t engage reporters. We like to say that Andrew Cuomo is my biggest campaign donor. That (Cuomo has taken me to court) has perked up a lot of reporters’ ears. As a political outsider, how do you feel about political alliances, like the recent announcement that the Independent Democratic Conference was breaking away from the Republicans, and the expectation of a Democrat-led Senate as a result? Not to toot my own horn, but Andrew Cuomo only started fighting for a Democratic Senate when I entered the race. I entered the race at the end of May and within three days Cuomo was making all kinds of concessions that he hadn’t agreed to in years. He could have made a Democratic Senate years ago if he vetoed the redrawn districts, which had been a campaign promise. There’s no excuse for not having a Democratic Senate in New York. The reason we don’t is Andrew Cuomo. If it was in Democrat control we’d be a lot better off in terms of affordable housing. As a political outsider, how would you handle the actual politics of governing? Dealing with the various alliances in order to get things accomplished? I think the job is leadership. You’re not going to win every fight. My vision of leadership is hiring great people and respecting people who work for the state. In Stuyvesant Town/Peter Cooper Village, everyone’s rent-stabilized, so there’s concern over the fact that the Rent Stabilization Law is coming up for renewal in 2015. What would you do to strengthen it? I’m very familiar with Stuyvesant Town. I used to live near there on East 7th Street and I would go up there to go swimming at Asser Levy. (On Rent Stabilization Law), there is precisely a role for the city to play. We need to repeal the Urstadt Law. At a minimum the city should be free to directly do things. It’s a crisis of people living in expensive housing. It’s a crisis for our economy. In ST/PCV, some people pay affordable rents, while others pay double for the same apartments. A big concern is all the legal ways owners can raise rents from major capital improvements (MCIs), to individual apartment improvements (IAIs) to vacancy bonuses. Rent stabilization is still one of the best sources of housing for low income people in the city. We have to make sure affordable means affordable, not unaffordable. It seems that more and more small businesses are being priced out of their locations and being replaced with chain stores. What do you think of the idea of rent regulation for commercial tenants? We have two different visions. One is commercial rent control for small businesses. The other is making sure big box stores aren’t getting an unfair advantage. We have to make sure our lending system is accessible to entrepreneurs who need it. You have to have a blend of strategies. We also have to make sure for retail diversity that there’s a range of minority owned businesses. What made you write a book about corruption? I began writing it years ago. I began writing in 2008 because the New York Supreme Court’s vision of corruption was narrow and cramped. They said it was only about illegal bribery, so it wasn’t about Extell. If you’re giving $100,000 in donations and getting tens of millions in subsidies, it is a violation of democratic principles. I think the core of it is if you want to be a public servant, you have to serve the public and not just serve yourself. When you meet with voters, what are their top concerns? Housing is one of the top concerns. People just don’t have the money to meet the basics. Another concern is people feel there aren’t enough (services) for people with psychiatric disabilities, but the more mainstream (concern) is housing. Upstate it’s property taxes and schools are central. With schools, it’s high stakes testing and over-crowding. What would you do to alleviate classroom crowding? There needs to be smaller classes, no more than 20 in a class. I used to be a special ed teacher’s aide, and you can’t give each child the attention they need when there are 33 kids in a classroom. There needs to be art and music for every child. They’re not extras. They’re essentials. We should be the best public school system in the country. What’s your opinion of charter schools? Charters have a role, but a very small role. Eva Moskowitz’s assault on education is not what charters are supposed to do. I am opposed to colocations and I don’t think charter schools should get money that was intended for our public schools. I’m a traditional Democrat. One (idea) is investing in the infrastructure, in the MTA, in transit. Upstate it’s in renewable energy. All of these create jobs in the short term and enable jobs in the long term, and affordable higher education. If elected, what is your first priority? My first priority is taking on the old boys’ network that allows corruption to continue. The school system is unequal and there’s immigration. Andrew Cuomo has a running mate who’s anti-immigrant. Every child at the border should see New York as a sanctuary.